Doesn’t get any clearer than this and their is much confirmation that this document is legit and real. The head of NASA is on the title page and please note: THE FUTURE IS NOW! according to these Nasaholes. 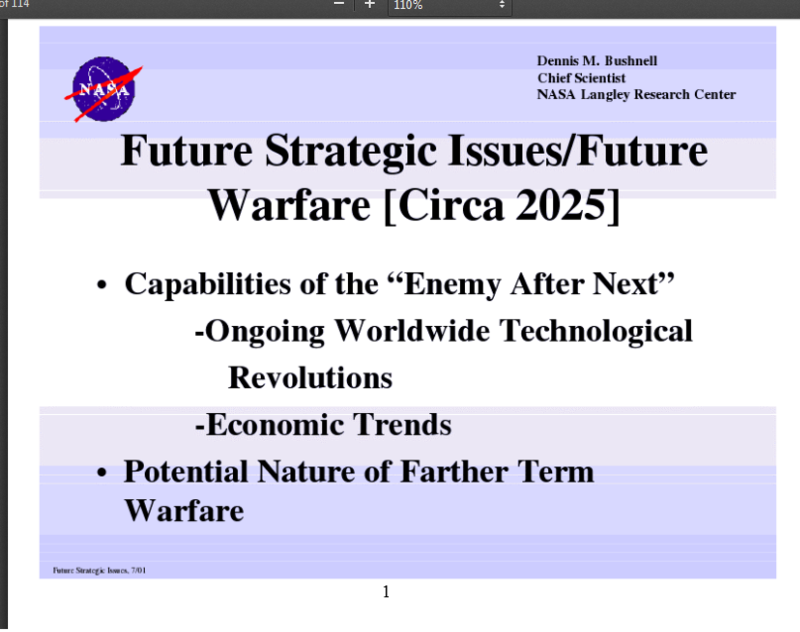 This ties military Ops, Geoengineering, Smart Dust, Nano Bots, etc. 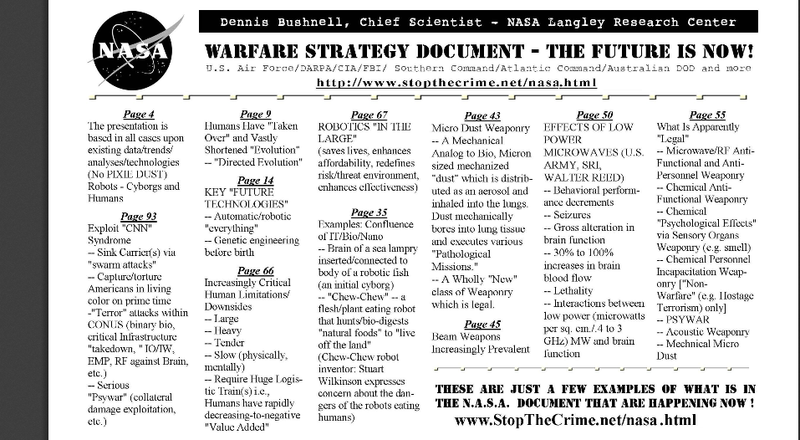 to NASA directly and was a document released/found in 2005 or so. This is the smoking Gun to destroy all that is NASA and save all hundreds of billions of tax payer dollars and End the Massive Lie once and for all.